Brothers Water as seen from the descent from Red Screes towards Scandale Pass. 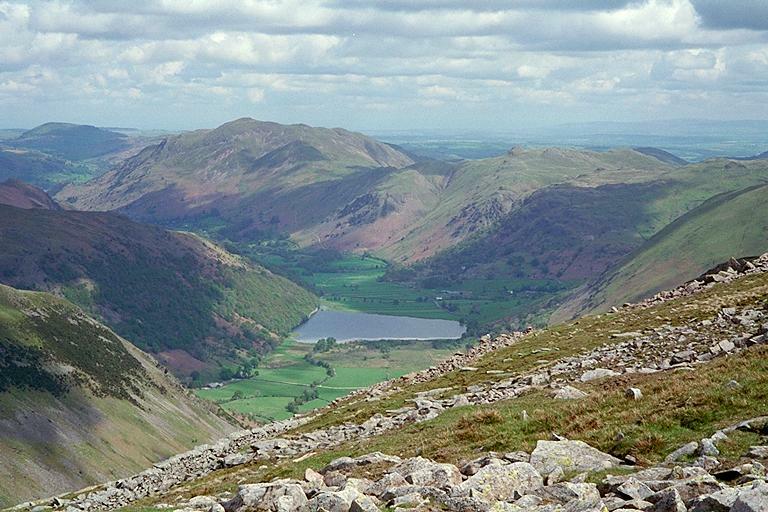 On the left are the fellside spurs of High Hartsop Dodd and Hartsop Above How, on the right, Hartsop Dodd with Angletarn Pikes behind and Place Fell dominating them all. Smaller version of this picture.